Want a great pet bird but not sure of what to get? A canary or finch is a great starter bird for children who are still too young to properly handle a bird. 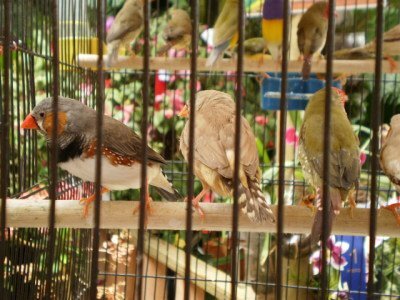 Canaries can be kept by themselves, but finches will need to be bought in pairs. Unlike most parrots, finches and canaries don't desire a lot of human contact, and generally do well inside of large cages which allow for flight. Both birds will need fresh food and water, along with regular cage cleaning. Though canaries can do well on their own, it wouldn't hurt to buy them in pairs to give them a companion. 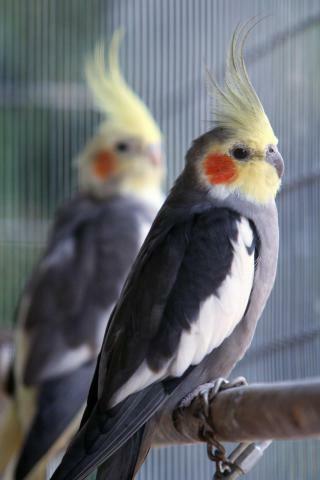 Cockatiels are very smart and sweet birds, while being less spastic and hyper than their smaller cousins. They're friendly birds who don't have a tendency to bond too much with a single person. These parrots are cute, they whistle well, and they tend to be good birds for families who aren't experienced parrot owners. However, they do require plenty of attention and toys, and likely won't feel content sitting in a cage all the time. An older child would be the best owner of one of these birds. A parakeet, or budgie, can make a great pet for older children. They're smart little parrot's, with a surprisingly large vocabulary. They're smaller than regular parrots (thus the term "parakeet"), and therefore more delicate, so the entire family will need to understand that grabbing is not allowed. 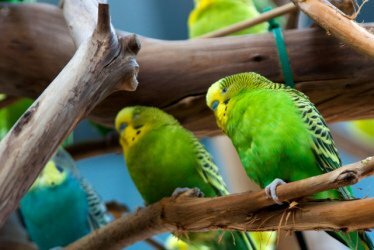 A parakeet's cage can fit in a child's room, and the parakeet can be like a best friend with proper care and attention. The Pionus is somewhat of an underrated and little known parrot. However, they're very sweet, fairly quiet, and they rarely bite, which makes them an ideal breed of parrot for kids. 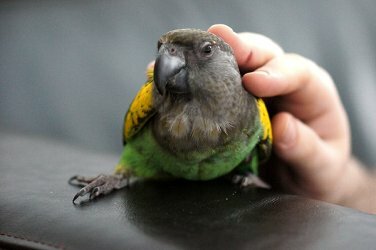 These birds are less likely than most to bond with one person, and they aren't as needy as some other breeds of parrots. 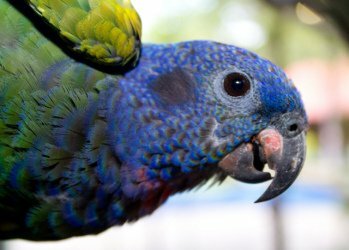 Pionus's can live for up to 40 years, so parents should be prepared to take care of the bird when children leave the home if need be. Meyer's parrots are quieter than many other breeds of birds, which makes them great for people who can't handle typical bird screeching. They're calm and steady, making them a perfect choice for children or families with children. These birds can maintain a loving relationship with numerous people, and are acrobatic and affectionate. They don't often bite, making them easy to be around, and good for children, though they will require plenty of attention. Keep in mind when buying a pet bird for a child, they tend to be best for older children who are willing to research. Also, as the parent, you'll have to take on some of the responsibility yourself. Always monitor the child with the bird, and be willing to take care of the bird if your child can't. Three Cool Gifts To Turn Your Animal’s World Upside Down!